Being a standard Joomla! module, RSSocial! can be displayed in any of your template's module positions. This means that all of Joomla! 's special features that regard modules are also applicable for RSSocial!. The syntax is one of them. 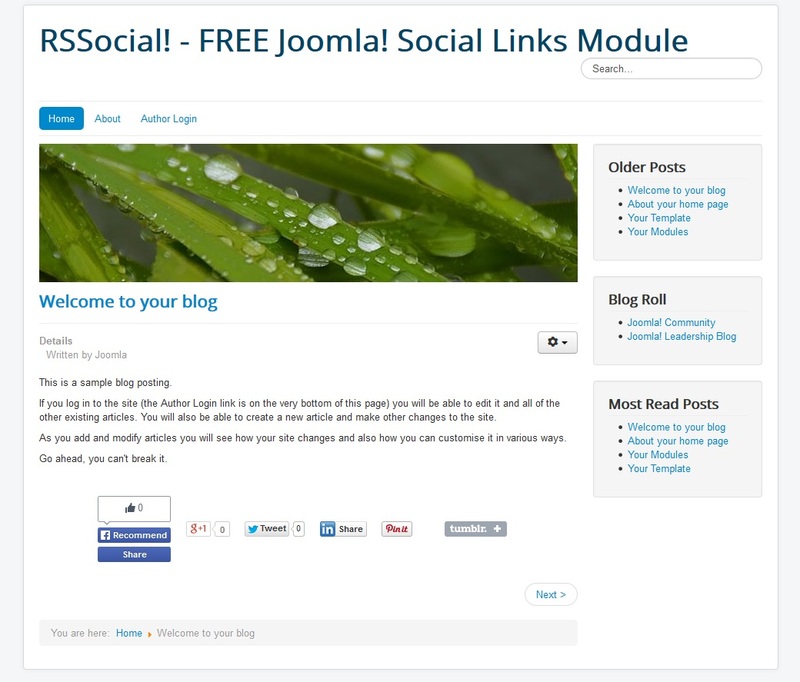 It can be used in order to load a module anywhere on your website, including Joomla! Content articles. Joomla! Documentation - How do you put a module inside an article? 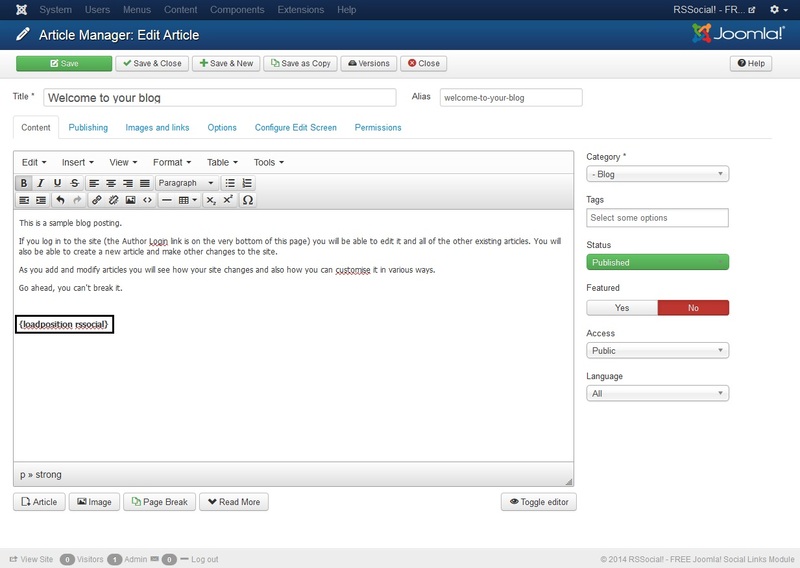 In the Module tab, click on the Position field and type in, manually, rssocial. Then, hit the Enter key and then Save or Save & Close. This will be a custom position that only the RSSocial! module will be using on your website and is unrecognizable for other modules. Note that you can name it in any way you like. In the article's text, add in the exact place where you want to have the module displayed (you can have a look at the example below). 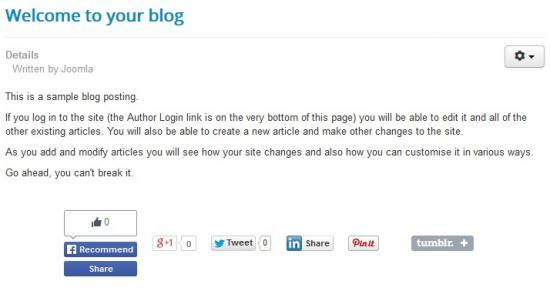 When you're done, save the article and refresh its page in the frontend to see the results. It gets displayed On all pages. 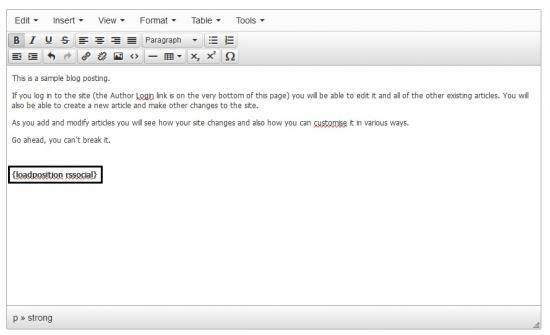 This is done in the module's Menu Assignment tab >> Module Assignment dropdown. Don't worry, the module will only show up where Joomla! finds the syntax, it won't actually be loaded on all pages. Its Positioning is set to Inline, in the module's Appearance tab. Setting this to Floating will no longer display the module inside the article.